We are designed to feel anxiety. Anxiety is protective because it helps us survive by warning us of dangers. Everyone experiences anxiety, although some of us get so anxious that we wonder if we can handle it. And sometimes our anxiety may be unreliable, giving us false alerts. Posted in anxiety, diet, mental health, sleep. Tags: anxiety, biofeedback, control, diet, family, friends, goals, gratitude, habits, meditation, mental health, neurofeed, sleep, technology on December 24, 2017 by Art Wagner. Anyone who has struggled with an addiction will tell you that addictions are very difficult to beat. Even those who desperately want to quit may go to rehab multiple times before succeeding. Posted in adult, PTSD, substance use, teen. Tags: addictions, alcohol abuse, mental health, neurofeedback, PTSD, substance use, veterans on May 30, 2017 by Art Wagner. Mental health providers and other professionals often talk about a child or adult's "dysregulation" and "self-regulation," but these terms are often left undefined. A 2017 summary and the 2015 report from the U.S. Department of Health and Human Services help define self-regulation and show the complex social, biological, and environmental factors involved in development of self-regulation. The summary defines self-regulation as "the act of managing one’s thoughts and feelings to engage in goal-directed actions such as organizing behavior, controlling impulses, and solving problems constructively." 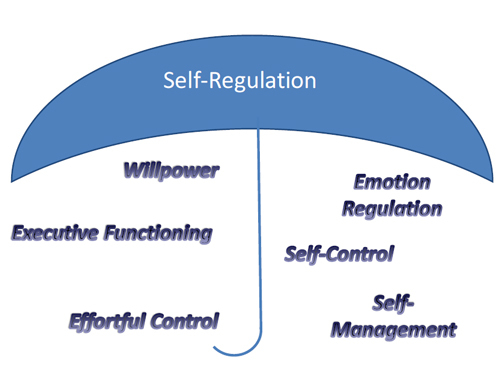 Self-regulation is a term that refers to a number of essential capabilities for successful human functioning. Posted in adult, children, developmental issues, family, health, mental health, psychotherapy, self-regulation. Tags: developmental issues, education, family, mental health, parents, self-regulation, teen on April 2, 2017 by Art Wagner. If you're wondering how to motivate your child or teen to do their school work, you're not alone. Many parents struggle with this. An article on motivation noted how difficult it is to motivate kids to do their school work. intrinsic incentives - being motivated by one's own inner desires. Behavioral methods often begin with economic or moral incentives, but ideally culminate with the student learning to work for internal or intrinsic incentives. Posted in academics, children, peak performance, teen. Tags: academics, behavioral plan, children, rewards, teen on February 19, 2017 by Art Wagner. Therapeutic farms use work in a natural environment to improve mental health. Did you know that the State of Maryland was actually an innovator in this approach over a century ago? In the 1970s I spent a summer working with older men at the Springfield State Hospital in Sykesville, MD. Long before Springfield was a mental institution, it was an estate and working farm, originally developed as the dowry for the daughter of a wealthy Baltimorean, William Patterson. His daughter was intended to marry Napoleon Bonaparte's brother, Jerome Bonaparte, although the marriage was later blocked by Napoleon. Posted in alternative treatments, mental health, schizophrenia, uncategorized. Tags: alternative treatments, mental health, schizophrenia on February 3, 2017 by Art Wagner.